All Stoke fans would certainly consider their greatest cup win as the 1971-72 League Cup victory. However, that is not the only domestic trophy that the Potters have won. 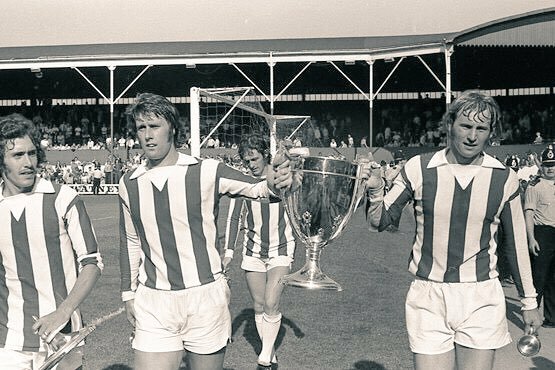 In August 1973, Stoke were the proud winners of the Watney Mann Invitation Cup, a short-lived trophy in the early 1970’s. The Watney Cup, as it was normally referred to, was a tournament which ran for four seasons from 1970-1973. Stoke followed in the footsteps of Derby County, Colchester United and Bristol City when they lifted the trophy in front of 18,000 fans at the Victoria Ground in 1973. The Watney Cup was historic as it was the first sponsored trophy in England. This marked the beginning of a new age of football sponsorship which is continuing to spiral out of control, now finding us with Angry Bird arm sponsors and energy drinks from Thailand sponsoring the League Cup. The Watney Mann Brewery was a famous one of the time, with the Watney Mann Red Barrel being a favourite for bitter lovers and was even mentioned on Monty Python. The competition itself consisted of eight teams, two from each of the top four divisions in England. The teams involved were the top scorers of their respective league who had not been promoted or gained qualification to any European competition. The participants in the year that Stoke won the cup were: (First Division) Stoke City, West Ham United, (Second Division) Bristol City, Hull City, (Third Division) Bristol Rovers, Plymouth Argyle, (Fourth Division) Mansfield Town and Peterborough United. West Ham were the favourites for the tournament coming off the back of a 6th place finish in 1972-73 season. As the other First Division side, Stoke too had a strong chance of winning following their 15th place finish in the same season. Sponsorship innovation wasn’t the only reason the cup was interesting. It offered a chance of more testing and competitive matches for the participating teams who were all nearing the end of their pre-season preparations. Arsenal’s Emirates Cup has become as much a fixture as the Community Shield of each pre-season in English football. The Watney Cup looked like it too could become a mainstay of August football. Teams knew it was a friendly tournament, but this did not stop them from wanting to compete. Not only was it the first trophy to be sponsored, but the Watney Cup was also brave in introducing and trialling new rules. 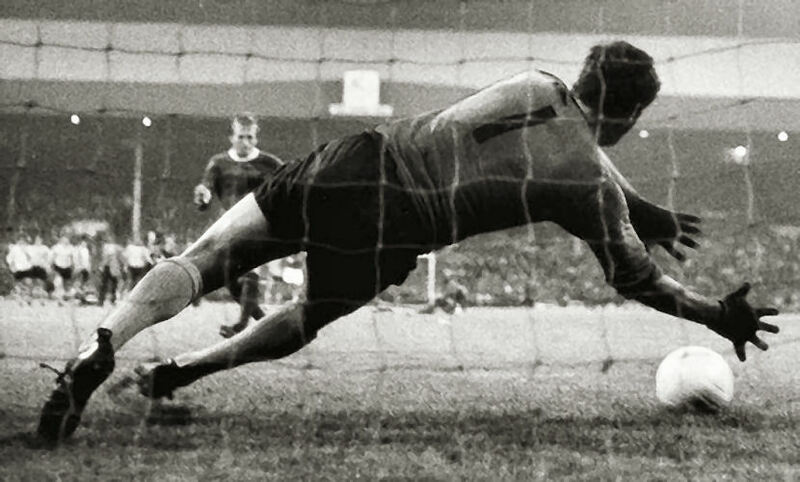 The 1970 semi-final was innovative as it saw the first penalty shoot-out in British football between Manchester United and Hull City. In that shoot-out Hull goalkeeper Ian McKechnie became the first player to save and concede a penalty as well as the first to take a decisive pen and miss one. During the 1971 competition the offside rule was also experimented with, the ruling that players could only be offside inside the penalty area was trialled to encourage more attacking football. This proved to be a success. 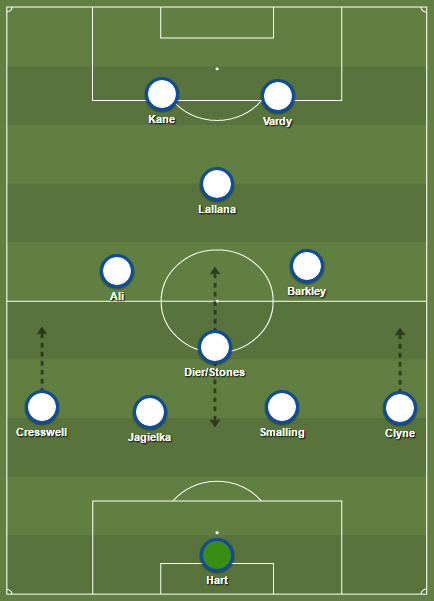 Not only did the tournament contain the freest scoring teams in English football but they also released the offside shackles causing fewer stoppages and less defensive play. This is comparable to the FA Cup’s trial of VAR in today’s game. The Watney Cup was certainly a lot less important than the FA Cup, but this is an interesting idea. Perhaps offering a pre-season cup competition where potential new rules are trialled each season could promote further innovation within football, especially in relation to technology. Any tournament that trialled changes to the game would gain interest as supporters would be interested to see whether they made football better. Watney Mann’s sponsorship of the cup illustrated a new era of lucrative sponsorship deals. This meant that the participating clubs had a potential payday for doing well in the competition. As well as this the clubs received a share of funds raised from ticket sales and television income. They got £4,000 for entering, £500 for progressing through the first round, a further £500 for the next round, and £1,000 for winning the trophy. The competing clubs were not the only ones who benefitted from the tournament, The FA and Football League received £50,000 from Watney Mann. All this extra revenue would have been welcomed by all parties involved, particularly the lower league sides who may hope to capitalise on complacent higher division sides who were not yet at full fitness. This lucrative offer from the sponsors meant that the only team to ever refuse to the invitation to participate was Manchester United, in 1972. United participated in the 1970 and 1971 competitions, yet after they were defeated by Third Division Halifax in 1971 they wanted a more structured pre-season a year later. Manchester United can be attributed with the successes and failures of the Watney Cup. Their attendance in the first two competitions helped to boost attendances for the tournament. The first tournament saw an average of 21,000 fans spectating, but this number continued to dip throughout the existence of the competition. The second edition had the highest attendance and gate receipt in its history with 19,750 fans and £8,000 received, but this was for the game where Man United were eliminated and the tournament average fell to 12,000 by the end of the final. Third Division Bristol Rovers’ shock successful Watney Cup campaign was in front of even fewer supporters. 11,500 fans were at each game, on average, in 1972. Stoke City restored First Division dominance in 1973 in front of 13,000 fans but this was not enough to convince the organisers to keep the competition running. As well as this, the attacking prowess of all teams meant that there were three goals per game throughout the existence of the trophy. This too certainly helped boost the number of supporters that wanted to watch the games. The fact is, when Manchester United were competing they attracted larger crowds, their refusal to participate in the 1972 tournament undermined the trophy and marked the beginning of the end for the competition. Despite this, it is important to analyse Stoke’s 1973 campaign which saw them pitted against Third Division Plymouth Argyle in the first-round. Plymouth were dispatched 1-0 and fellow First Division side West Ham United were the surprise losers to Third Division Bristol Rovers in the first-round. This made Stoke huge favourites for the cup. They went on to face Second Division Bristol City in the semi-final and were comfortable 4-1 victors. Tony Waddington’s side, led by skipper Denis Smith, were into the final and looked set to win their second trophy of the decade. Stoke’s old Victoria Ground was the venue for the final on a mid-August Saturday afternoon in front of 18,000 fans. 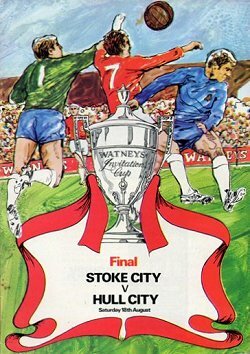 The Stoke team (Farmer, Marsh, Pejic, Mahoney, Smith, Bloor, Robertson, Greenhoff, Hurst, Conroy, Haslegrave) had a strength that illustrated their desire to win the trophy. The average attendance for the season that followed at Stoke was 21,500, this illustrates that the Watney Cup had engaged supporters as many turned up for the final. The money on offer and exciting football meant that Stoke took the competition seriously and were rewarded with a 2-0 victory, both goals coming from Jimmy Greenhoff. Watney Mann withdrew their sponsorship from the tournament after the end of the 1973 edition, and as quick as that, the competition was gone. There was a search for a new sponsor, but it never materialised. It would be interesting to think that the tournament could return and play on their innovation and boldness to try new rules. However, today there are just too many pre-season tours containing prestigious teams and rewards that many Premier League teams are unlikely to get onboard. The Emirates Cup, Audi Cup and the Premier League Trophy look to be the new versions of this type of competition. Whilst the possibility of playing in lands far afield and securing a strong global brand for top Premier League teams is on offer, the Watney Cup will never return. It is firmly placed in history as the trophy that offered the first ever penalty shoot-out and brave experiments with new rules. For now the Watney Trophy stays in Derby’s Pride Park, with Stoke being the reigning champions it may be time for them to attempt to retrieve a trophy that is rightfully theirs and remember an exciting tournament that has long since been forgotten. Stoke City are a famous team in English football and as much as this competition can not be considered a trophy of equal standing to the FA Cup or League Cup, it is certainly important enough to feature in their history. The Watney Cup was the perfect example of the exciting football that Waddington’s side played at this time. They were among the top goal scorers in the First Division and had the wherewithal to cope with being tournament favourites after the first round, and then go on to win the trophy. Any team with Geoff Hurst up front has a good chance of scoring goals. The Stoke side of 1973 may not always be remembered as the side that won the Watney Cup, but should certainly be remembered by Stoke City fans as one of the finest they have produced. Pete is 23 and from Liverpool. He's just finished an MA in History, specialising in Football History. A connoisseur of Merseyside Football looking to broaden his footballing horizons. You can find more of his work here https://peterkj.wixsite.com/football-historian. Are AC Milan’s Money Troubles Behind Them? I was at the final, when jimmy greenhoff came over to the paddock corner in stoke end with the cup, an advertising board gave way from the weight of the kids leaning on it, of which I was one. I still have a scar on my knee from where the nail went into it. Great days!! !